Time to get very excited - Line Of Duty is back! The BBC's huge hit show returns this Sunday night for its fifth series, with our brilliant MARTIN COMPSTON reprising the role of DCI Steve Arnott and our equally brilliant TAJ ATWAL joining the cast as new character PC Tatleen Sahota. Suspicion will fall closer to home in this year's explosive six-part series, with one (or maybe more) AC-12 officers coming under suspicion. 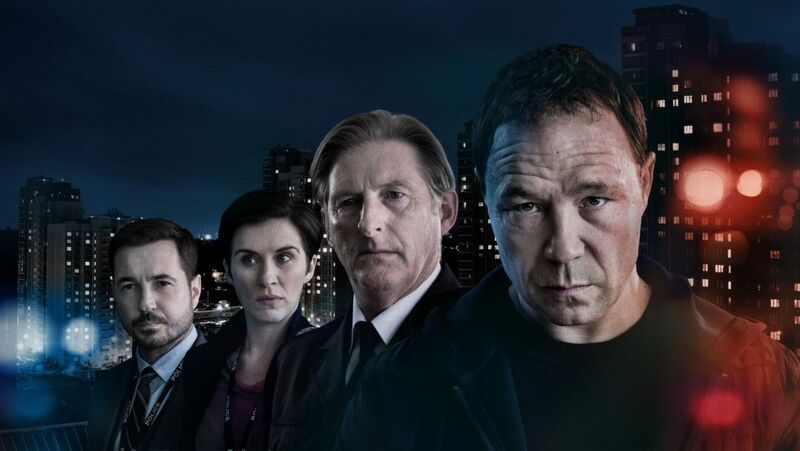 Check out the trailer below, which gives us our first look at this year’s villain, John Corbett (played by Stephen Graham), who appears to have gotten away with a hijack of a police transport thanks to the help of what DI Kate Fleming (Vicky McClure) terms a “police insider”. We're obviosuly not going to give away any spoilers or info on Taj's new character, but needless to say the show will be filled with plenty of twists and turns to keep us all on the edges of our seats. Don't miss it! Tune in this Sunday 31 March at 9pm on BBC1.